Grandmaster In Sun Seo has been involved in martial arts since the 1950′s and is currently one of the most respected Korean martial artist and a true pioneer representing the first generation of Korean martial artists. Grandmaster Seo is the only first generation martial artist to teach and operate a dojang in Korea continuously for the last 40 years. He is the epitome of a true martial artist who combines his technical skills with great wisdom to tirelessly serve the growing martial arts community of Korea as well as the rest of the world. As of present time, Grandmaster In Sun Seo has certified 270,000 Black Belts and he serves as President/Chairman of World Kido Federation, Han Min Jok Hapkido Association and Korea Kuk Sool Association. GM Seo continues to travel the world to teach and share his martial arts knowledge and skills. 1974-Present – Hosted two Martial Arts Championship-Exhibitions each year. GM has held the most martial arts events in Korea. 1977 – Selected as the Martial Arts Director/Participant for Government funded Documentary on Korean Martial Arts “Ho Kuk Moo Yea”(Fifty of GM’s students also appeared on the documentary). 1978 – Selected to head a Martial Arts Team to represent Korea at the 75th Anniversary of Korean Immigration to Hawaii. First ever to be appointed martial arts team leader in an official government sponsored trip. 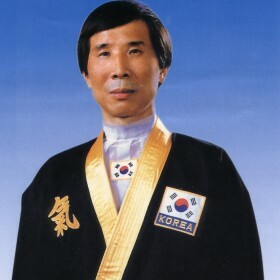 1983 – Elected President of Korea Kido Association (first martial artist to serve as president) and has been serving for the longest duration in history. 1990-Present – GM has given over 200 martial arts seminars throughout the world and has received numerous commendations and awards from different cities he has visited. 2003 – Founded Han Min Jok Hapkido Association receives Korean government recognition for the new organization. Copyright © 2019 World Kido Federation. Powered by WordPress, Supreme, and WorldKido.